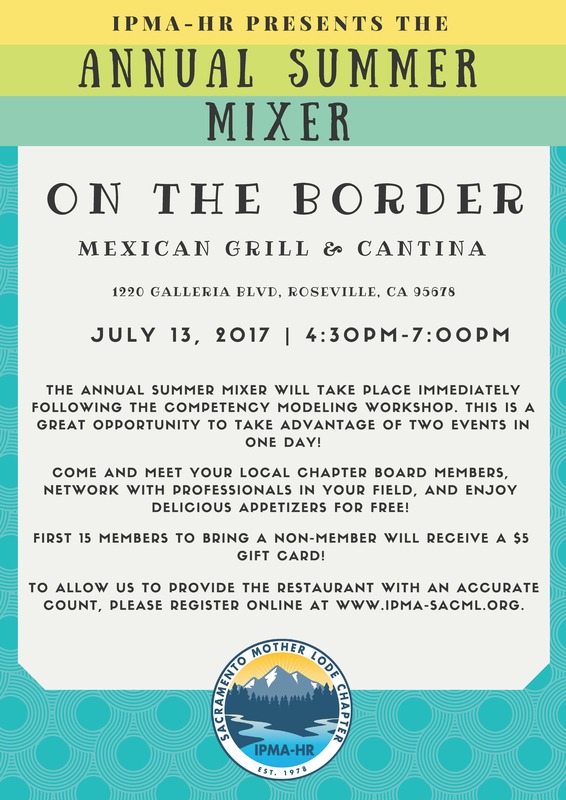 The Annual Summer Mixer will take place immediately following the Competency Modeling workshop. This is a great opportunity to take advantage of two events in one day! Come and meet your local chapter Board members, network with professionals in your field, and enjoy delicious appetizers for FREE! First 15 members to bring a non-member will receive a $5 gift card! To allow us to provide the restaurant with an accurate count, please register online at www.ipma-sacml.org.